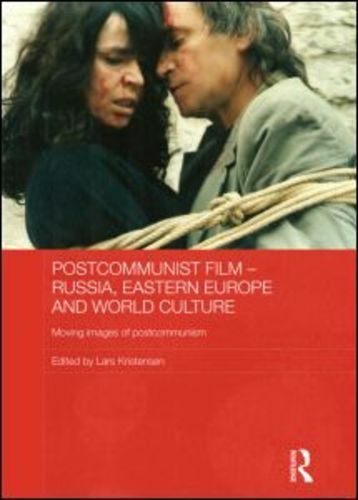 This commissioned chapter formed part of an edited volume that marked a major contribution to the study and theorisation of post-communist film. Gray challenges Eurocentric understandings of the post-communist condition by examining the connections of solidarity formed through filmmaking between lusophone African countries, particularly Mozambique, and the Soviet Union and other non-aligned states such as Cuba and Yugoslavia. Her chapter gives a close reading of a number of key films, such as Abderrahmane Sissako’s October and Rostov–Luanda and Licínio Azevedo’s Farewell DDR, which address the affective and political legacy of the demise of the Soviet bloc. It is methodologically innovative in that it develops the theoretical implications of socialist friendship through an appropriation of Leela Gandhi’s notion of ‘affective communities’ to analyse emotional ties that are surplus to ideological identification. The research involved close analysis of much-understudied films and the conceptual development of original and groundbreaking research carried out in Mozambique, France and Portugal, which involved tracing previously un-studied films and conducting interviews with filmmakers, activists and government officials and ministers. Gray was one of the invited speakers at the discussion event ‘The Russian Connection’ at Gasworks (2011), which focused on the cinematographic training of Sarah Maldoror and her African peers in Soviet Russia. She is also a key participant in the Calvert22 research project, Socialist Friendship. This focuses on connections between Africa and the Soviet Union formed through art education programmes, for which Gray presented Abderrahmane Sissako’s Rostov–Luanda in Autumn 2013.